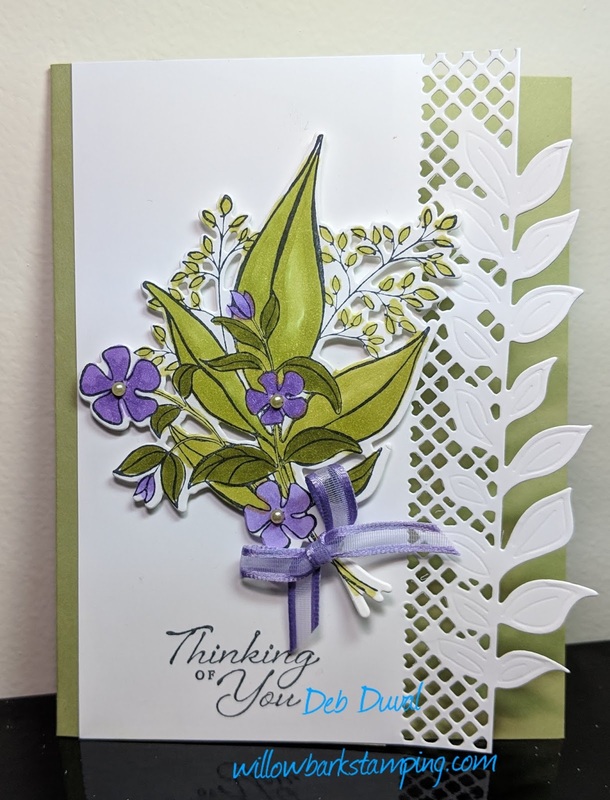 Have you seen this lovely and romantic stamp set in the Occasions Catalogue? I think I bought the bundle just for the awesome leaves up the side of this card. So wonderful. 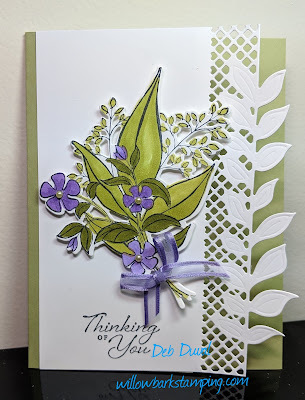 We made this card at Stampers Club which is the 3rd Tuesday of each month and everyone is welcome. Also, with the bundle you can get a free Sale-a-Bration set - win win.